The Shephard features 38 residences and more than 25 unique layouts ranging from two- to five-bedrooms. Originally built in 1894 as a 12-story warehouse, the building was converted into apartments in 1975. 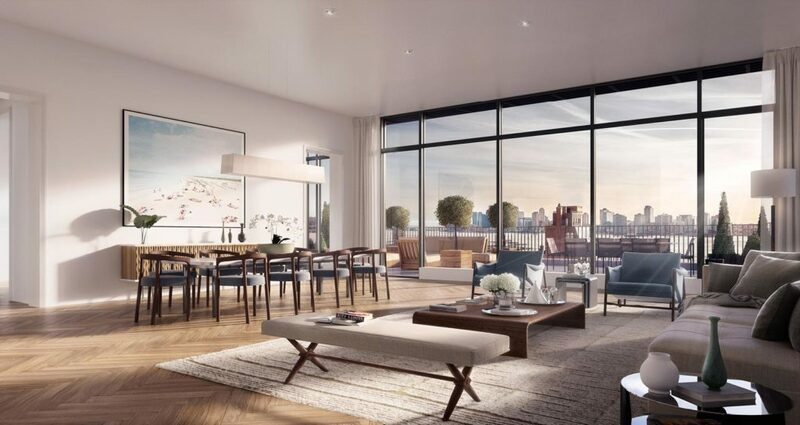 The Naftali Group has painstakingly gut-renovated the entire building down to its original structure, installing brand new systems and interiors and adding three penthouses as well as a new lobby entrance and private resident’s garden at 275 West 10 th Street. said Miki Naftali, President & CEO, Naftali Group. Hotels, numerous celebrity private homes and the Sterling Mason in Tribeca. activities, residents can head to the private garden or library. Private storage is also available. Associates’ Alexa Lambert, who is handling sales and marketing for the building. institutions such as The Whitney Museum and world-class shopping. properties that are exceptional in their attention to detail, quality, sustainability and design. City. For more information please visit www.naftaligroup.com.